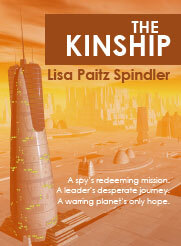 Last week I posted the first four chapters of THE KINSHIP to Authonomy, a social networking site for writers, readers and Harper Collins editors. See my previous post for more details. I’ve had a warm welcome there and my book’s rank has risen over 1500 points, can be found on 22 Bookshelves and three Watchlists. I still have about 500 to go before I can be anywhere near the top five realm required for editorial review, but hopefully that will be within reach soon. I really couldn’t have asked for a better review. Thanks again, Geoff! In the meantime, voting is still open, so please if you’re at all interested in science fiction, read my first four chapters and if the story strikes you, back my book.